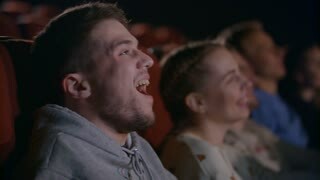 Close-up of a young woman hysterically laughing while watching a comedy at the movies. 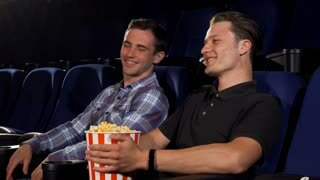 Young handsome man laughing joyfully talking to his friend while watching comedy movie at the cinema. 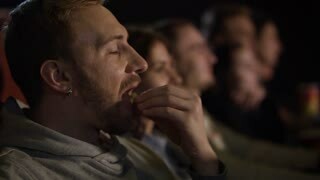 Cheerful male friends eating popcorn at the movie theatre. Entertainment concept.